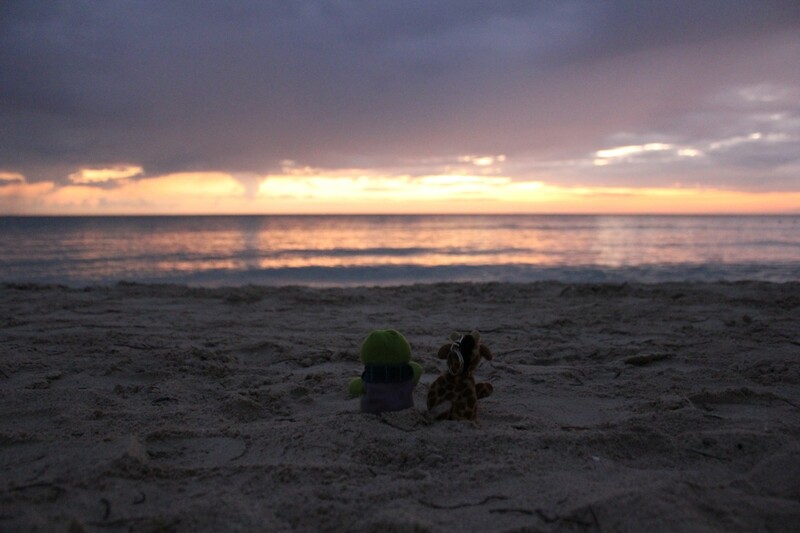 Jaspa – The last time Phyllis and I did a trip together it was also to an island. Phyllis – Yeah. But this time it was to Jamaica, which is about as different from Iceland as you can get! 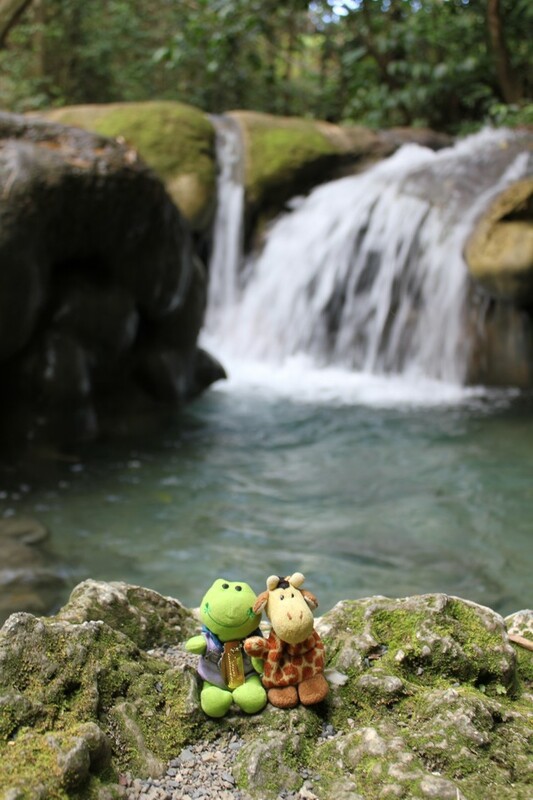 J – Our time in Jamaica was just as full of adventure, though. J – And I think our first adventure was flying into Kingston airport, instead of Montego Bay like most tourists. I’m pretty sure we were the only non-Jamaicans on the flight! P – You’re probably right, which was what made it so much fun. J – We spent our first couple of days in Port Royal, located at the end on the spit that sticks out into the sea south of Kingston. P – Seeing it today, it’s hard to believe that Port Royal was once the Pirate Capital of the World. Back then it was home to famous pirates like Blackbeard and Henry Morgan, and was known as the richest and wickedest place on Earth. J – Until 1692, when an earthquake put paid to all that. Over half the town sank into the sea, and it seems to me that Port Royal never really recovered. P – Fort Charles was still really cool, though. Definitely worth the visit, I thought. J – Absolutely. I never knew that Nelson was posted there when he was young, before he became a famous admiral. J – But the highlight at Fort Charles has to be the Giddy House. 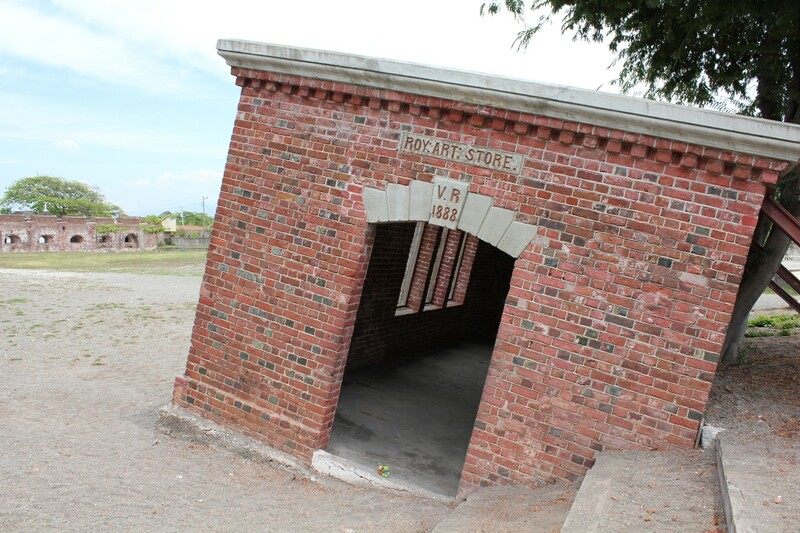 It’s an old artillery store that was tipped over to a crazy angle in 1907 by another earthquake. I could hardly stand up straight inside it! P – Ha ha! That was so weird. Did you find that if you closed your eyes it was fine, but as soon as you opened them, you were stumbling around all over the place? J – Exactly! Bisckits loved it, of course. P – Well, that’s Bisckits for you! He even enjoyed the driving! J – Yeah. Driving in Jamaica is quite an adventure all by itself. P – I do know the lady we met outside the car rental place was less than encouraging. The way she kept telling Rich how brave he was to drive to Negril. Especially when she said the road was so bad that she wouldn’t want to drive it, even though she used to be in the Jamaican police. Not helpful! J – Well it was an ‘interesting’ trip, what with having to dodge all the potholes, not to mention the other drivers. 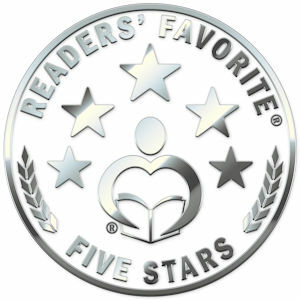 Sue was gripping the map so tightly, I was surprised didn’t have bloody fingernail marks in her palms. P –But we made it to Negril without too much trouble, really. And the sunset was certainly well worth it. J – It was. And at least the road north from Negril towards Montego and Runaway Bays was better. P – Uh-huh. Until Sue had the brainwave to drive ourselves to Mayfield Falls, that is. 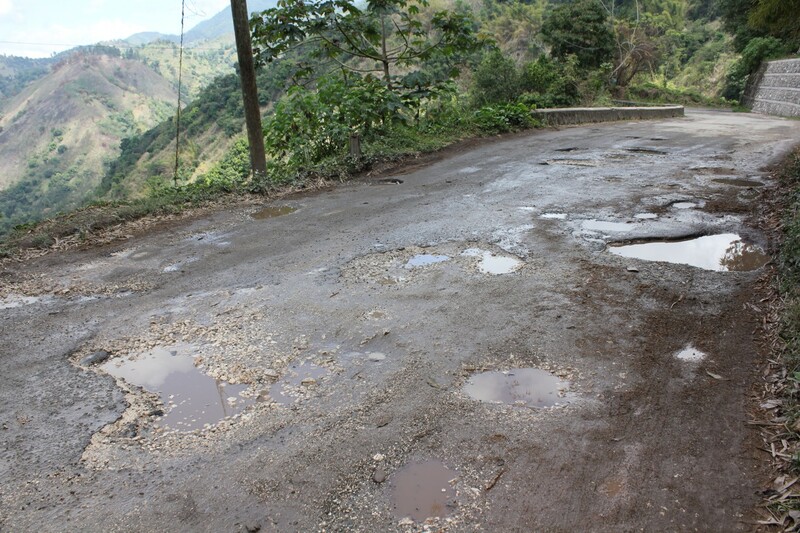 If the road from Kingston to Negril was ‘interesting’, the one up to Mayfield Falls was just plain crazy! J – No kidding. It was so narrow, and clung to the side of the mountains with no railings between us and a long, deadly plunge into the valleys below. And half of the time there was more pothole than asphalt. P – Do remember the bit where the bottom of the car scrapped along the ground as we climbed out of a particularly wide and deep pothole? It sets my teeth on edge just thinking about it! J – Still, we got out of there safely in the end. And the falls were a lot of fun. P – Agreed. But going up there on our own wasn’t the best decision Rich and Sue have ever made. Just saying. J – Probably not. In fact, I get the feeling Rich was glad to leave the driving to Donald during the second part of our stay in Jamaica. Facebook: you can become a fan of Jaspa and Phyllis (or even Rich). This entry was posted in Uncategorized and tagged pirate capital, travel. Bookmark the permalink. Looks like another fun trip, the photos are fantastic!